The Server 2019 early look is available through Windows Insider, the preview program Microsoft established before Windows 10's launch and expanded last year to include Windows Server. 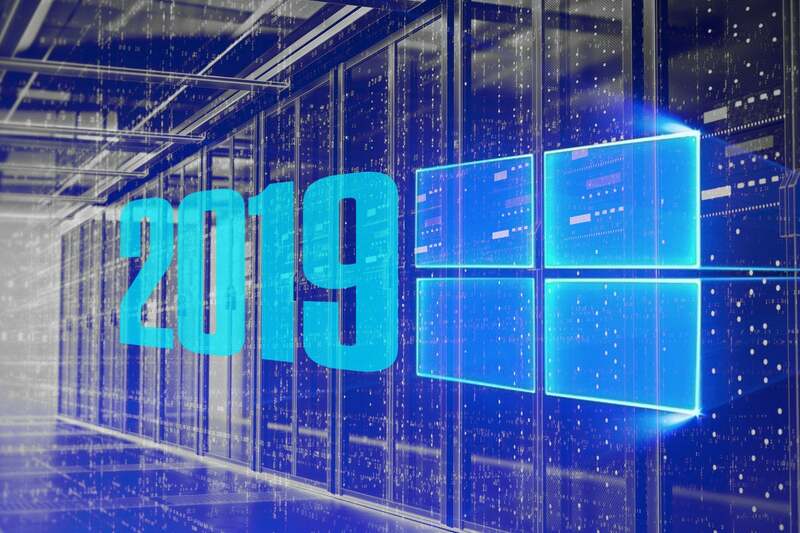 Microsoft this week released the first preview of Windows Server 2019, the next iteration of its enterprise-standard server software and announced that the final code would ship in the second half of his year. Licensing costs will likely go up for Server 2019, Microsoft added. The Server 2019 early look is available now to participants in Windows Insider, the preview program Microsoft established prior to Windows 10's launch and expanded in June 2017 to include Windows Server. Microsoft has tagged the beta with the build number 17623. Windows Server 2019's beta, the general window of release, even its nameplate, were not unexpected. Microsoft signaled each when last year it conformed Server's development and release cadence to that of the client versions of Windows and Office. All three lines, Microsoft's most important software by leagues, now issue multiple interim upgrades annually - those are dubbed "Semi-Annual Channel" builds, or SACs - that in turn lead to a new more-static-and-stable build every two to three years (with the emphasis on the latter). Those less-frequent versions are labeled "Long-Term Service Channel," or LTSC. For Office and Windows Server, the LTSC also gets a new moniker, such as "Office 2019" or "Windows Server 2019," to distinguish the every-so-often editions available as "perpetual" licenses, as opposed to software "rented" from Microsoft via a subscription. So, it's no coincidence that the next editions of Office and Windows Server will share the same "2019" label, as they both rely on the same licensing rhythm. Like other products sold as perpetual licenses, Server 2019 will be supported using the standard 5+5 scheme, with five years of "Mainstream" support and another five years of "Extended" support. The former will probably expire in early 2024, while the latter will likely end in early 2029. However, customers willing to pay for the privilege may receive support for six more years atop the usual decade, for a total of 16 years. That option, "Premium Assurance," debuted in December 2016. Because of the way Microsoft delivers Server SACs and limits the support for each to 18 months, Server 2019 - in particular, the preview - will be the first glimpse customers have of the future in an edition that supports a full desktop mode. SACs of Windows Server 2016, like last year's 1709 (using Microsoft's yymm nomenclature), the impending 1803 and even this fall's 1809 have been limited to the Nano and Server Core configurations, with the former relegated to container-only and neither providing a full desktop GUI (graphical user interface). Those SACs, however, were where Microsoft introduced new technologies or features into Windows Server. As with the development of Office, every two or three years Microsoft will take the contents of the twice-annual SACs to compose the feature set of the next Windows Server X, essentially putting a stake in the ground for customers who prefer stability over instant innovation. Erin Chapple, director of program management for Windows Server, laid out the foundational additions and improvements to the product in a March 20 post to a company blog. Among the most notable, Microsoft will embed its Windows Advanced Threat Protection (ATP) technology into the Server 2019 operating system so that administrators can detect and react to intrusions. ATP, a cornerstone of many of Microsoft's most expensive, and thus profitable, products, including the top-tier Microsoft 365 subscriptions, will be accompanied by other new tools, including extending the shielded VM concept of Server 2016 to encompass Linux-hosted virtual machines. Server 2019 will also include the ability to encrypt network segments, such as those between servers. A more detailed "What's New?" description of Server 2019, of build 17623 specifically, was offered by Mary Hoffman, a spokeswoman who often blogs about Server. Nothing is free, particularly if it's from Microsoft. CALs, as they're known, are the licenses necessary to connect other software to the server. Microsoft's general rule, in fact, is that all server software access requires a CAL. And because CALs are generally (but not always) required for each user, per-CAL hikes can quickly accumulate into, as former Sen. Everett Dirkson (R-Ill.) once said, "real money." Build 17623 can be downloaded from the Insider website in disk image (.iso) or Hyper-V (.vhdx) formats. The initial build is available in 18 languages, including Chinese, English, German, Korean and Russian. Testers must have already registered as an Insider participant; that can be accomplished here.